Your bills are getting paid, your paying debt off, you are saving, but yet you are feeling stuck. Have you ever wondered what’s keeping you stuck when you are doing everything “right”? It may be your financial baggage! 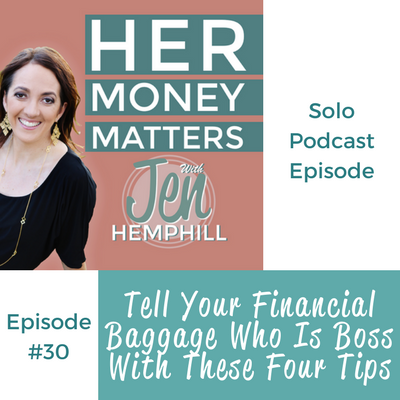 In this episode I talk about what financial baggage is so you can make sure he knows who is in charge with these four tips. I’d love to hear from you, which of the four tips was your favorite? Do you have any tips you’d like to add? Please be sure to share with us in the comments below. [00:00:25] JH: Hello this is Jen. Thank you so much for tuning in to this podcast. If you are listening to this the day it goes live, it is the day of New Years Eve here in the United States and it's so crazy that the year 2016 is pretty much here. It's super crazy. I hope that you are ready to take on the new year. I know I am. I'm excited. This time of year is really always exciting cause you feel like you can just hit the refresh button, reset button, however you want to call it, and just make a new start. Usually we talk about resolutions, we talk about goals. But honestly, I feel that before you do any of that you really need to take care of the baggage that's holding you back. If you don't take care of that now, it's really going to be like dragging a bag full of bricks behind you, and I'm sure you don't want to move forward in 2016 trying to move forward with your goals and such with this huge bag of heavy bricks behind you. I mean really, let's work smarter and not harder, right? Let's just do that and figure out what this baggage is, tackle that so you're moving forward to working on your goals without that heavy bag of bricks behind you. It just makes better sense, don't you agree? So in today's episode, I'm going to share with you the four tips and I'm going to share with you how Google can help you figure out your financial baggage, believe it or not. And I'm going to share with you what role your "why" plays in this, and I'm also going to share how a thing as simple as a poster board can be such a huge help in all of this. I'm going to share with you the importance in finding a mentor and hint, I'm not talking about me at all. Before we do that I wanted to give a quick shout out to some ladies. As you know, the past episodes I have been talking about the new community that I've created on Facebook, and it's really hopping in there. It's not because of me though, I have to tell you it's not because of me. It's really because of the ladies in the group that are making it happen. There's been some great conversations, we're getting to know each other, we're talking about money, we're supporting each other, and the ladies in there right now are just amazing and super supportive. So I'm going to give them a shout out, to Irene, to Danielle, Suzanna, Lara, Chantal, Claire. Thank you ladies so much for making it such a great community. Of course there are others, I can't name them all, but if you haven't joined I really, really encourage you to join. It's a safe place, a safe atmosphere, and it's just a whole lot of fun. So let's go ahead and get into the tips for today's episode. The first tip that I want to share with you to helping get rid of that financial baggage is really doing some soul searching into what that financial baggage is. I would hope that would be the first tip, right? You gotta get to the nitty gritty as to what that financial baggage is. 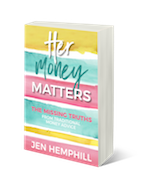 So you really want to know how you grew up around money, what you hear, what you've experienced, maybe some common themes that you see in your life occurring over, and over again. Maybe some things that you find yourself saying repeatedly. So you have to do some soul searching, some digging, some reflection. Take a notebook out, a journal, write these things down. And maybe if you need some help, use Google to help you out. So search out news stories, search out statistics about money. Maybe there's a news story or statistic that bothers you, something that really, really punches you in the gut. Maybe for example it could be a statistic on, I'm just going to make one up. So this is not a real statistic, mind you. Let's say there's a statistic out there saying that 20% of Americans have $1,000 or less in their emergency fund. And maybe that really, really gets you because in your mind you need more and you have just about that or less and you don't want to be a part of that statistic. Something like that. So use Google for that, do some reflective thinking.Take some just quiet time to sit down, take a notebook, a journal, something that you can write on. And really soul search as to how you grew up around money, what you've heard, what you've experienced, the common themes that you've seen in your life occurring over, and over again and think through why those things are happening. There's a reason for that. Things that you find yourself saying repeatedly, like maybe you're saying "We can't afford that," all the time. There's a reason for that. It came from somewhere. It just didn't appear out of nowhere! So really do some reflection and some soul searching around that. That's going to be a big help. Tip number two is really about finding your "why". This is what's going to make you motivated for a change. So maybe for you your "why" are your kids. I know that is a big reason. My big "why" are my kids, but you want to be more specific than, "My why's are my kids." Why is it so important to make this change, to get rid of the financial baggage? What about your kids? Is is because maybe you don't want to repeat some financial behaviours? What is it specifically? So really make sure that you get specific. Is it because you want to teach them good financial habits? Or maybe you're someone that's had a tough time financially or you've become dependent on family members recently, whatever the case may be. Maybe you're recently divorced and the finances are just a hot mess right now. Or maybe you're recently divorced and you never had to take care of the finances. So I don't know if you've heard of that term, "the why that makes you cry". So really think about what that "why" is and make it something that's strong and really touches your heart. Like I said, the why that makes you cry. And once you've done that, rate it on a scale of one to 10. One being no change, 10 being "I want to change right now" on how strong that need and that desire to change is. So one, you don't want to change and you're not motivated,10, you're super motivated to make the change. So this, knowing this is really going to help you get rid of baggage because it's the primary motivator, it's pretty much the rock in all of this. It's knowing this, it's what's going to keep you moving, right? So that's tip number two, is finding your why. And tip number one was to really do some soul searching on what that financial baggage is, and where it came from, what it looks like, and so forth. Tip number three is about visualizing. So visualizing what your wealth looks like, visualizing what you want your personal finances to look like. Write about it, again take that same notebook and be very descriptive. So it's nothing that you want to write, "I want to be out of debt." But rather, what would that look like? So if you were out of debt, what would it look like? Would it be maybe you would get a new car? Would it be a trip, an extra trip? Maybe it would be putting that extra money on another debt that you have going on. What does that look like for you? So visualizing what your either wealth looks like, or visualizing what you want your personal finances to look like. So again, be very descriptive, very detailed. It's not about being general here, it's about being very specific and detailed. And if you want to be visual as far is if you're needing more visuals versus writing, maybe you don't like writing. Just have some fun, take a poster board and cut out some images from magazines to glue on there to show what you want your wealth to look like, what you want your personal finances to do for you. That's my tip number three. Tip number four is about finding someone who has made that change. So for example, finding someone that got rid of that student loan that you've been working on getting rid of, and talk to them. I know, this might be a tough one because I know and I understand personal finances are personal, personal finances can be private. But the whole idea here and why I'm doing this podcast is to help the talk, the conversation of personal finance not be so taboo, to be able to have that conversation easier. Because guess what? Everybody at one point or another has had some financial issues. You are not alone in this matter. We're all working to better our personal finance situation, so the idea is just to be confident around your finances and find someone who's already made the change that you want to make, and talk to them. They're going to serve as inspiration, they're going to give you some great tips that maybe you can apply. And if you don't find anybody or you don't know where to start, join us in the Facebook community, The Her Money Matters Community on Facebook. Yes it's a new community, but my hopes are within that community that you're going to be able to not only get to know each other better, but you're going to be able to find someone who's already done what you're working towards. So maybe it's credit card debt or student loan debt, or maybe they're on a good path for retirement, or saving money for college, those types of things. So join the community. I know we're just getting started, but we're just getting to know each other so I know there's some good stories there that I haven't learned about. So we can learn so much from each other. So that is my tip number four, is really finding someone, a mentor, and I'm not talking about me. Yes, I'd be more than willing to help and share with you what I've learned and the experience that I've had. But this is not, I'm not talking about necessarily about me. I'm talking about finding someone in either the community on Facebook, someone that you know and that you trust that you're able to sit down, have some coffee, have some lunch and talk about them, the change that they made, how they did it. So that way it serves in some inspiration, some motivation, they can give you some great insight to do this. So those are my tips. So tip number one was about finding out really what your financial baggage is. So hopefully that would've been my tip number one, since that's what this episodes's about. Tip number two is about finding that "why", so they why that makes you cry. Tip number three is about visualizing what your personal finance, what you want your personal finances to look like, what you want your wealth to look like. Tip number four is about finding a mentor. So finding someone that's already made that change that you want to make, and talk to them. So those are the four tips that I have for today. I hope that you have found that of value. If you've found this episode valuable, be sure to share it with someone that you think is in need or share with your friends. I'd really greatly appreciate that. So I thank you so much for tuning in. I encourage you that these tips, do not just take them and listen, and move on, but actually apply those tips. They may sound super simple to do, but it's a matter of taking some action, okay? So hopefully you just don't listen to this and move on with the rest of the day. But make sure that you take me up on these tips, and do them. Actually do them. This is why I'm telling you about these tips because they will help you if you take the action. So that is for today. It's a wrap! I really appreciate you taking time out of your holiday to tune into this show. 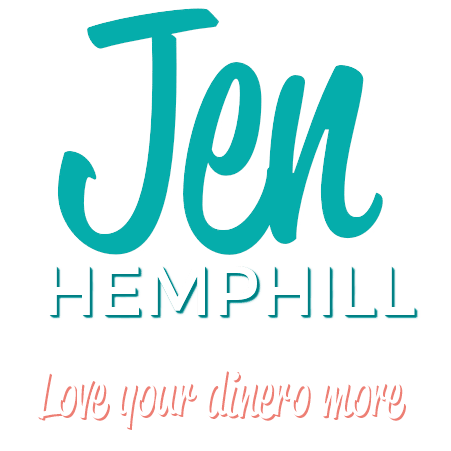 You can check out my brief show notes and the transcript at Jenhemphill.com/30. That is Jenhemphill.com/30. If you haven't joined us in the community feel free to join us at Jenhemphill.com/community. That's Jenhemphill.com/community. I would love to connect with you and get to know you in there. So have a Happy New Year, even though I'm saying that like it's a "see you later" because it's not, because we will be right back here next week, next Thursday for yet another episode. Thank you so much. We'll talk again next Thursday.